We have all seen the images on television. There is a traffic jam on the interstate because of an accident involving a tractor trailer. Maybe the driver was tired and didn’t notice traffic slowing down. Maybe the car was in his “blind spot” when he tried to change lanes. Maybe the tire blew out or he was carrying an unsafe load. Whatever the reason, when an accident is caused by an 18 wheeler, there is the potential for fatal injuries. Most cars don’t stand a chance when hit by one of these massive vehicles. The occupants inside the car don’t usually fare much better. Broken bones, brain injury and damaged organs are a likely result. Even if you are incredibly lucky, you could receive injuries that are extremely painful and require extensive treatment. Driver Fatigue. This occurs when a driver chooses to ignore the mandatory resting laws put in place or otherwise push himself to his/her limit. This is often caused by delivery schedules that are too tight or bonuses for early delivery. Driver Aggression. Can be caused by some of the same issues regarding driver fatigue. 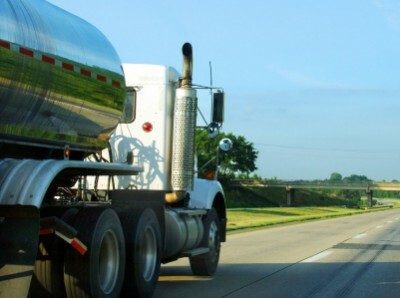 Aggressive truck driving can lead to a host of problems, including jack-knifing and collision. Shifting Cargo. If cargo is not tied down properly, or is grossly off-balance, it can cause the truck to shift and even overturn. Poor Maintenance and Inspection. With all the moving parts and high intensity action taking place on a rig, it is essential to maintain the vehicle in top working condition. Even minor lapses can be devastating. Drunk Driving. Many states have stringent drinking laws for rig drivers (even more stringent than regular drivers). Nevertheless, drunk driving happens and it is a real threat. Driver Error. Sometimes drivers just make mistakes – navigating corners and turns with a rig can be very complex. Use of Cell Phone / Distractions. Long drives can get dull and plenty of drivers are tempted to distract themselves through the use of cell phones and other material/gadgets. Unfortunately, when it comes to big rigs, the chance of injury is greater than in normal automobile accidents. The bigger and heavier the truck, the more stopping and reaction time is needed to keep the vehicle under control. The margin for error is very slim and even a ‘small’ accident with a big rig can very easily be fatal. Unfortunately, many truck accidents are not small and can involve multiple cars. The seriousness of truck accidents can’t really be overstated. If you were involved in an accident with a truck, would you know what your rights are? Who is going to pay for your medical bills? What about your lost wages? Are you entitled to anything for your pain and suffering? Our firm has been representing the victims of truck accidents for over 25 years and we have the answers. If you or a member of your family have been the victim of a truck accident, utilize our free consultation service today.